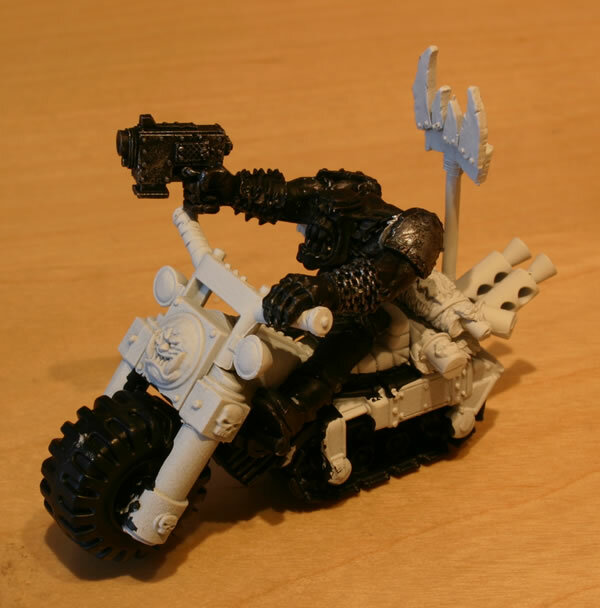 This model is an original Ork Biker from Gorkamorka, so has a lot of metal parts compared to the current (yet old) completely plastic kit. 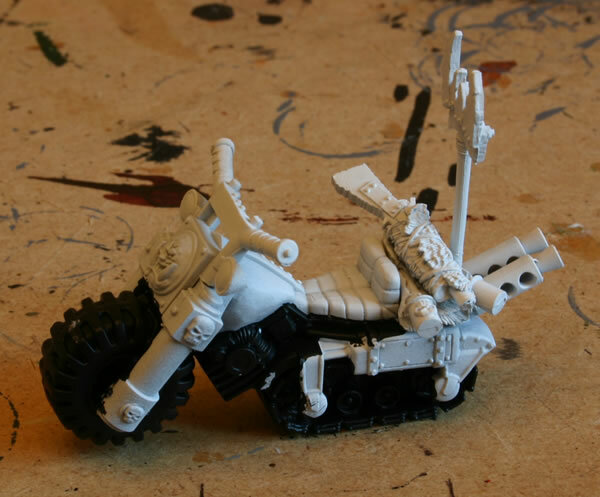 After sticking the model together I gave it a white undercoat. I then painted the metal parts black. 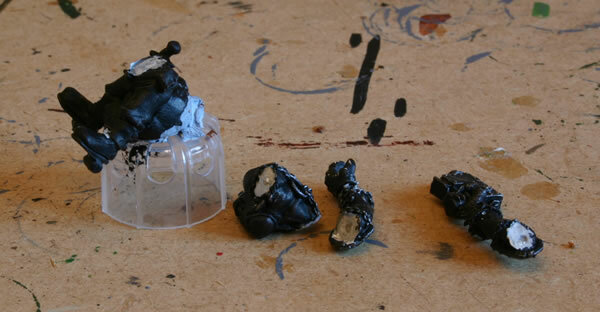 I assembled the driver and gave him a black undercoat and then accidently I dropped him and he "fell to pieces". 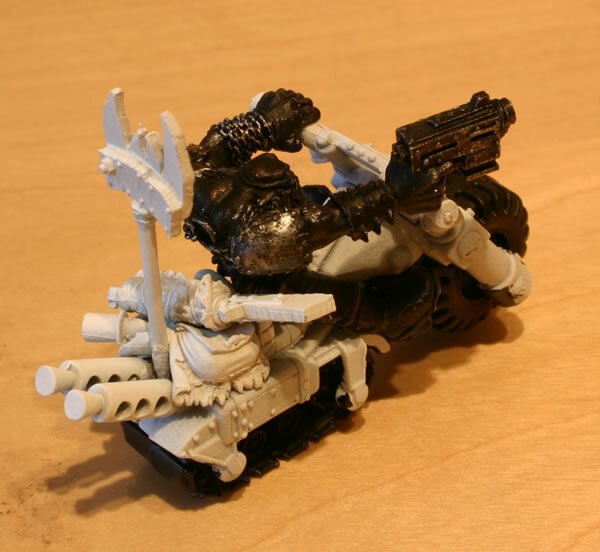 Here are two more photographs, with the Ork biker stuck back together.